Memorial day presented the perfect opportunity to practice masochism by tart. I’ve made this tart twice before. The first time, as far as I recall, was easy: I seemed to have found nectarines at the perfect stage of ripeness, rendering them malleable enough to form these temperamental rosettes. 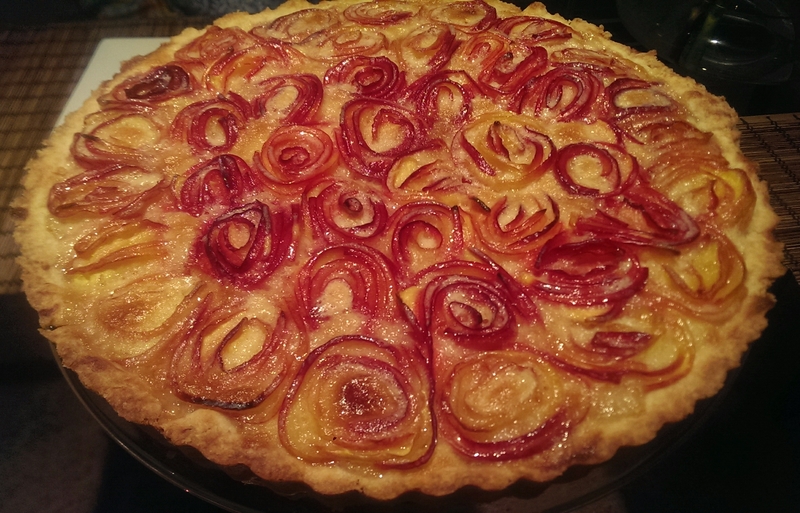 The second time was a nightmare given that the nectarines were just not quite ripe enough. 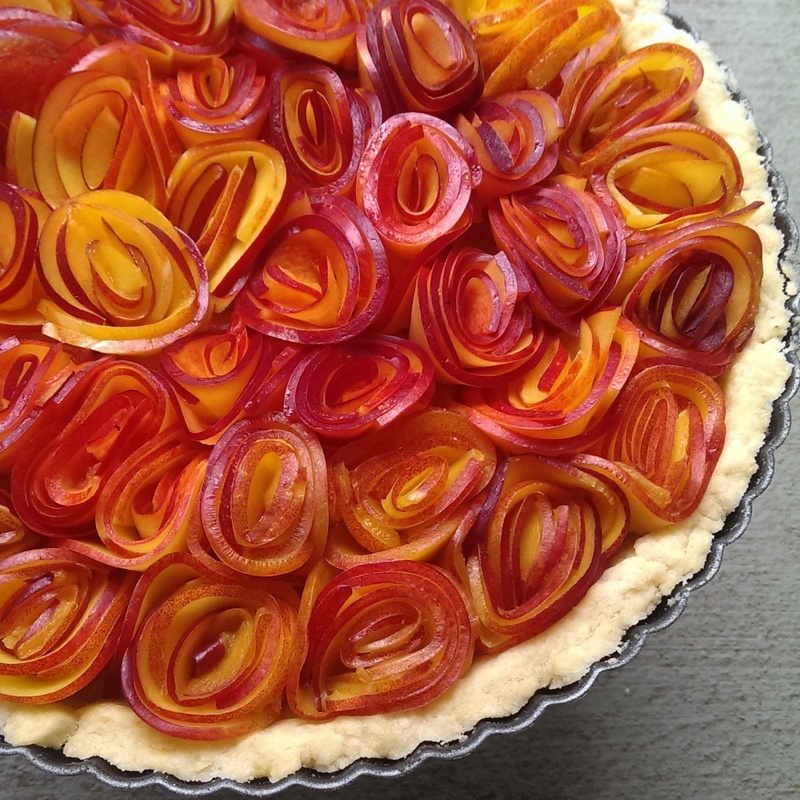 Making this year’s tart lies somewhere in between torture and transcendence. The nectarines fought me tooth and nail but ultimately, there was something quite divine about conquering their resistance to be fashioned into the emergent property that is a tart of this nature. Making this dessert was an intimate affair in my kitchen between me and the fruitand one which required head as well as heart and art. Smart tart art for all! For what it is worth, my guests thought it tasted good too. The recipe for the filling is adapted from Martha Stewart’s. The pâte sucrée recipe is mine and one of which I am quite proud. I am happy to share the technique recipes: just use the contact me button. :). Thank you, Aya-Marie. 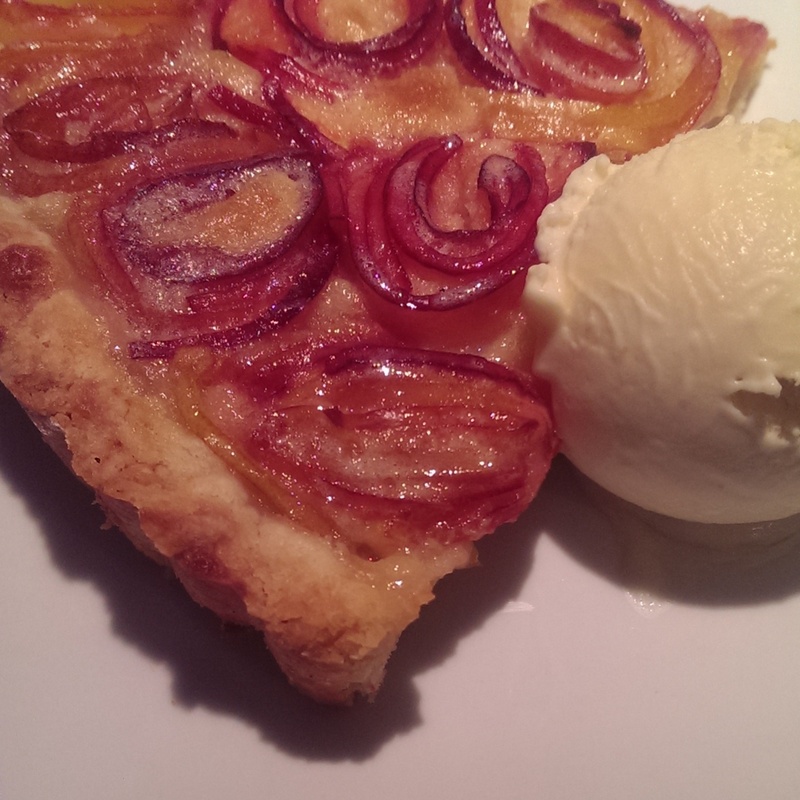 The only secret to this tart is patience.